Name: Rosé Release & Oysters! 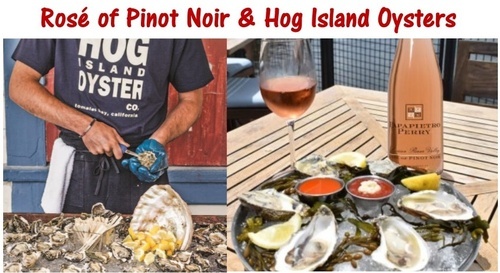 2018 Rosé of Pinot Noir, Hog Island Oysters & Your Sweetheart. What a way to spend the holiday weekend! Join us as we celebrate the release of our popular always-sells-out Rosé of Pinot Noir. Pair the Rosé with oysters from the world-famous Hog Island Oyster Company. They will be here from 11:00 to 4:00 serving up fresh and grilled oysters, yum, yum! Come rain or shine - we'll be outside if the weather cooperates or in the cellar where it is warm and cozy if it rains. No entry fee. Reservations requested, but not required. Please let us know if you're coming!